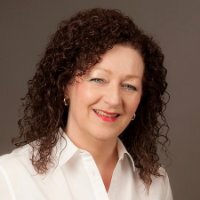 With over 25 years’ experience as a senior executive, Mary has worked with many individuals and organisations going through (often challenging) transitions. For individuals this may have been in their career, their leadership aspirations, the direction of their life, or developing a team. Context and environment are important, and Mary has worked in large corporate family owned companies and also not-for-profit organisations. Her starting point is ‘Where are you now?’ – What choices are you making and how is this impacting on how you behave and feel? Mary then gets alongside you to help and support you to make small, but significant, changes in your approach as you explore other choices and challenge your assumptions. Mary completed an MSc in Organisational Change from Ashridge Business School and for her dissertation (entitled ‘Transition and Identity: A Journey not a Destination’) explored her own many and continuing transitions, developing a huge empathy for the impact transitions can have on the whole person. In her spare time Mary enjoys walking, reading, having fun with friends and family and finding outlets for her creativity such as baking and art. I believe the key to development is self awareness, and I believe that ultimately you know yourself better than anyone. I help you to unlock your awareness as the centre of your learning. I listen: and give you the space to hear yourself.